Birds on a Branch Triptych. This is a 3 tile set. 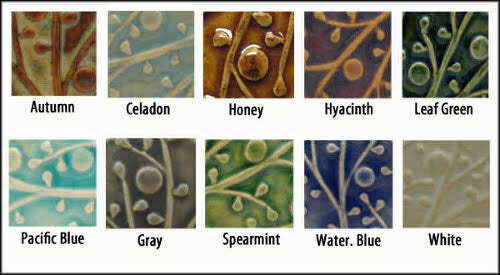 Total size: 6"x18"
In any color, this set makes an elegant focal point in a back splash or hearth. If you want it to to be a bit bigger and have even more impact, consider adding a border.